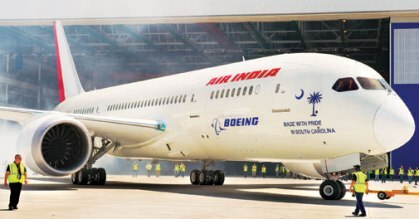 The Rajya Sabha was informed on May 2, 2013, that the US-based aircraft manufacturer Boeing, said that it has agreed to compensate the Indian carrier Air India, for the grounding of its Dreamliner aircraft due to battery and fire incidents. KC Venugopal, the Minister of state for civil aviation replied in the positive, when he was asked about the compensation to Air India. Venugopal however, did not reveal the quantum of compensation, but said that it is in accordance with the Purchase agreement for the Boeing 787 Dreamliners, which was signed between the American manufacturer and the Indian carrier. The minister said that there was a warranty clause in the agreement, which had specified that Boeing will not be liable for any damages due to loss of use, revenue or profit, due to any fault in the aircraft. However, when the agreement was signed, the situation of grounding of the entire fleet of the newly acquired aircraft for a prolonged period of time was not mentioned or taken into account. The minister said that the issue of compensation for the loss incurred by Air India due to grounding was taken up by Boeing. The Dreamliner Aircraft have remained grounded since the month of January, after fire reports in the battery of the aircrafts which were parked in Boston.